Women's Genetic Counseling at the Women's Medicine Collaborative offers comprehensive evaluation for individuals and family members at risk of hereditary cancer syndromes. A genetics evaluation can help an individual determine whether she has inherited an increased risk for cancer. Approximately 5 to 10 percent of all cancers are hereditary. Chanika Phornphutkul, MD, is the director of human genetics at Rhode Island and its Hasbro Children’s Hospital, and is an associate professor of pediatrics at The Warren Alpert Medical School of Brown University. 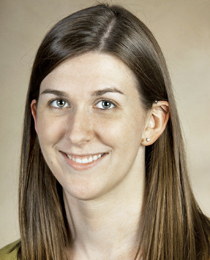 She provides genetic risk assessment as well as counseling for patients with a family history of genetic disorders. 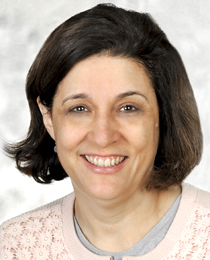 She is board certified in pediatric endocrinology and biochemical genetics. Dr. Phornphutkul received her medical degree from the Chiang Mai University School of Medicine in Thailand, and completed her residency at Mott Children’s Hospital in Ann Arbor, Michigan and Hasbro Children’s Hospital in Providence, Rhode Island. She completed a fellowship at Hasbro Children’s Hospital and the National Institutes of Health in Bethesda, Maryland. Her clinical and research interests focus on biochemical genetics (metabolic disorders), the application of genomic information in clinical medicine and newborn screening.